Download PDF for European registrations by automaker, brand and market for October and 10 months. PARIS (Bloomberg) -- European car registrations rose 5 percent in October, marking the first back-to-back gains in monthly sales in two years, as a government scrappage program helped push a delivery surge in Spain. 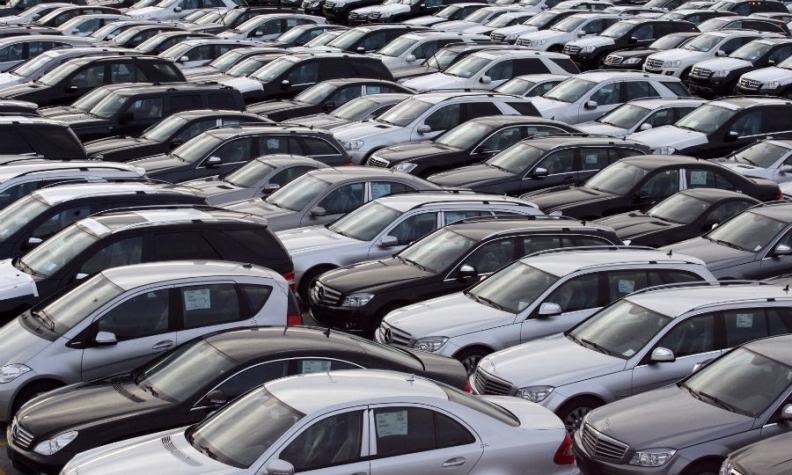 Registrations advanced to 1.04 million new vehicles last month from 999,266 a year earlier, Brussels-based industry association ACEA said today in a statement. That narrowed the drop so far this year to 3 percent, for 10.4 million total deliveries. Sales in September rose 6 percent. A record six-quarter recession in the 17 countries sharing the euro ended in the three months through June, and consumer confidence in the area rose in October. Car demand gained in four of Europe's top five auto markets last month. "I've got a feeling that things have stopped worsening," Jean-Francois Belorgey, who runs consulting company EY's automotive business in France, said before ACEA published its figures. "But this might not be enough to tempt people to buy new cars in the long run. Italy is very unsteady, Spain is slowly recovering and France is facing budgetary problems. Only when unemployment starts falling will we see the market really pick up." The back-to-back increases were the first in the region since August and September 2011, ACEA Economics and Statistics Director Quynh-Nhu Huynh said today. The European car market is still set for a sixth straight full-year contraction following a sovereign-debt crisis that triggered the euro area's recession. The region's economic recovery came close to a halt in the third quarter, and unemployment is at a record high of 12 percent. Even so, among Europe's five biggest car markets, registrations increased 2 percent last month in Germany, while in the UK and France they rose 4 percent and 3 percent, respectively. Sales in Spain jumped 34 percent. In Italy, demand declined 6 percent. "Most markets posted improving figures, the notable exception being Italy. This seems to indicate that, effectively, car markets throughout Europe have reached such a low point that a certain level of natural replacement is now at play. Pent up demand that has been building along the crisis has started releasing and this is a welcome fact," Carlos Da Silva, a Paris-based analyst with IHS Automotive, said today. European sales at Volkswagen Group rose 6 percent in October, propelled by jumps of 24 percent at the Skoda brand and 15 percent at the Seat nameplate, while registrations gained 1 percent at the core VW marque. The group's premium Audi division posted a 1 percent decline. Renault sold 14 percent more cars in Europe last month. Demand at the automaker's Dacia unit, which has revised the Sandero hatchback and Logan sedan, jumped 16 percent, while sales at the main Renault brand rose 13 percent on strong demand for the Clio. GM posted a 6 percent European sales increase as the Chevrolet brand sold 7 percent more cars and demand at the European nameplates Opel and Vauxhall rose 6 percent. Models that GM has begun selling in Europe in the past year include the South Korean-made Mokka subcompact SUV, which Opel will produce in Spain starting next year, and the Adam minicar. "Car sales have been falling for so long that the aging fleet in Europe alone could be a reason for a moderate pick up," Belorgey said. "New SUVs being introduced by several companies may also be pushing sales." European sales at Mercedes-Benz rose 9 percent last month. The gain more than offset a 4 percent drop at the Smart microcar unit to boost group registrations at parent company Daimler by 7 percent. BMW Group sales were flat in Europe last month. Mercedes has won customers with a refreshed compact lineup, including the all-new CLA four-door coupe, as well as a revamp of the up-market E-class sedan. BMW began selling the 4-series coupe, which shares underpinnings with its best-selling 3-series sedan, in September. A new generation of its X5 SUV is entering dealerships this month. October European car sales also rose at Japanese producers Toyota Motor Corp., which posted a 17 percent jump in registrations, and Nissan Motor Co., with a 5 percent gain. Registrations declined 1 percent at PSA/Peugeot-Citroen and were flat at Ford Motor Co. Sales at Fiat Group were down 7 percent and dropped 2 percent at Hyundai Motor Co. Kia's sales rose 3 percent in the same period.